When you’re holding a Claude Dozorme knife, you can feel the sheer quality and attention to detail that sets Claude Dozorme apart from the rest. Claude Dozorme knives are made using techniques that combine the traditions of over a century of experience…as well as more modern technological advances, such as laser cutting. A truly delicious, fresh oyster deserves a truly divine opening set. 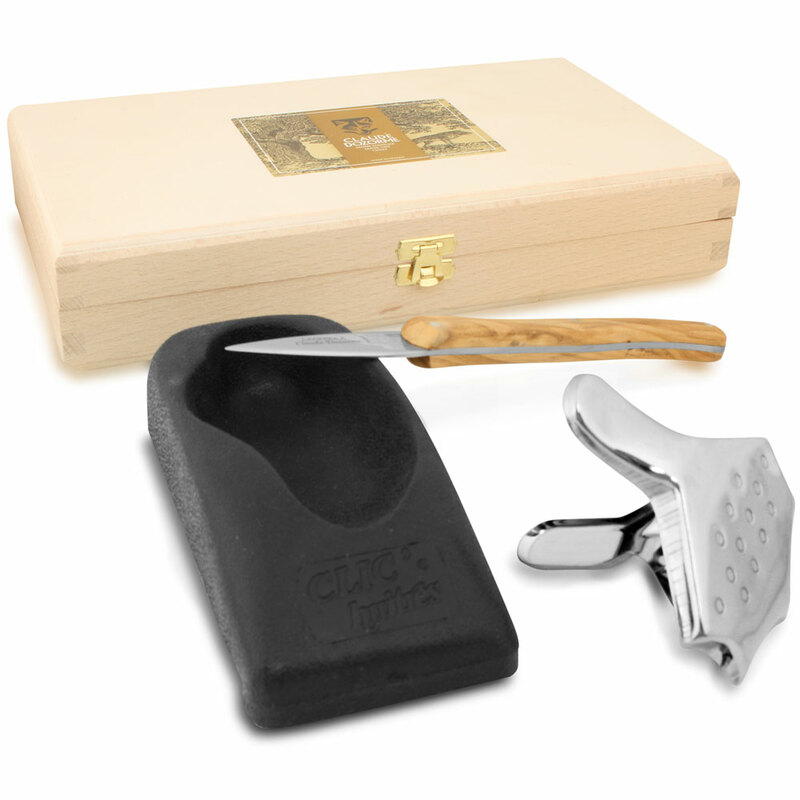 This delightful ensemble of oyster tools is hand-finished with the highest attention to detail, so it’s able to stand even the toughest oyster-opening jobs. And, with French innovation and the very best quality, these tools will last a lifetime! Blade made from high grade stainless steel. Handle made from olive wood. Presented in a wooden Claude Dozorme gift case. Claude Dozorme’s trademark Bee features on the tang.